I have a Cherokee grandpa. Bet you don't hear people say that very much. 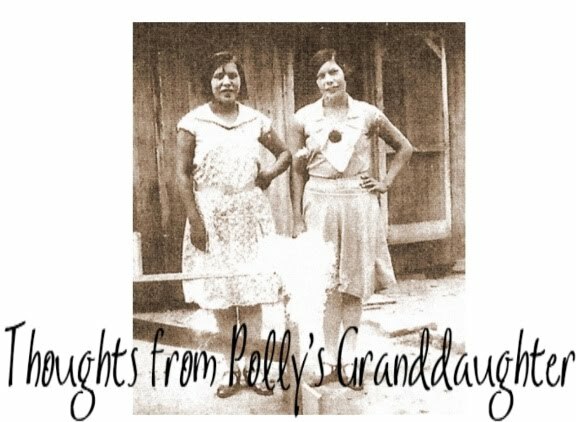 I have often wondered, since so many people have a mythological Cherokee grandma, why no one seems to have a Cherokee grandpa. My theory is it is easier to "lose" a Cherokee grandma in the mix of surnames and maiden names than it is to "lose" a Cherokee grandpa, at least from a white perspective of genealogy. 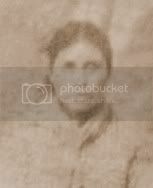 Anyone who has done genealogy knows it is much easier to research a non-Indian male ancestor because they normally have the same surname as their father who had the same surname of their father. Women are much more difficult to research because, if you don't know their maiden name, then how do you figure out who her parents are or where she came from? I would guess this is the reason the stories of a Cherokee grandma flourish while stories of a Cherokee grandpa are nearly non-existent. It is hard to convince people of an ancestor that doesn't exist if the line has been thoroughly researched and there is no Cherokee to be found. Well, today, the Cherokee grandpa is no longer forgotten and we are going to celebrate his existence. Not only do I have one Cherokee grandpa, but many Cherokee grandpas. One of my Cherokee grandpas was an Old Settler. Several others traveled the Trail of Tears. At least four of my Cherokee grandpas served in the Indian Home Guard during the Civil War and four others were listed on the Final Dawes Roll. In more recent times, one of my Cherokee grandpas served in WWII with the US Army. The only Cherokee grandpa I knew personally was the last one in a long line of other Cherokee grandpas. He was a remarkable man, not just because he was Cherokee, but because he was a good person and had an interesting life. He was the third child of two Cherokee Nation citizens who were both listed on the Final Dawes Roll. While a young teenager, his father was killed by a hit and run driver and he had to take over the role of helping his mother support the family of 9 children. He fetched water and kept the fire going for her as she did laundry for a living. He also helped a local widow on her farm and he would be paid in vegetables which he took home to his mother and siblings. When he was 20 years old, he enlisted with the U.S Army. He was attached to the 612th Tank Destroyer battalion and was part of the European campaign during WWII. On Dec. 18, 1944, at the beginning of the Battle of the Bulge, he was captured by the Germans at Honsfeld. After having his coat, gloves and boots taken away, he was marched toward the Prisoner of War camp. It was bitter cold and he had nothing to eat during the entire 10 day trip. He endured six months as a POW until he was liberated by American soldiers. After the war, he returned to civilian life and raised a family like many other veterans. He never realized he had honors coming to him. Fifty-five years after WWII, he was presented 7 medals from a United States Congressman from Oklahoma. My Cherokee grandpa was awarded the Bronze Star Medal, the POW medal, an European-African-Middle Eastern Campaign medal (with service stars representing the 8 major battles he participated in), a U.S. Victory medal, a Good Conduct Medal, a Combat and Infantryman badge, and a Rifleman Qualification Combat Infantry Army Award medal. He was also awarded a Cross of Valor by the State of Oklahoma. Later when interviewed about his wartime experience, Grandpa said he felt it was important that the young people of today learn about the wars America has fought and the sacrifices made to keep the country free. He said he had told his children about it when they were young like many other veterans did, but he didn't know if the stories had been passed on to the younger generation. He said if given the opportunity to tell young people about WWII, he would advise them, "Let's not go through another thing like this again." Two years and four months after he received his WWII medals, Grandpa was sick and near death. As he struggled to hold onto life, my mom, his oldest daughter, laid her face beside his and told him she loved him and one day he would have four little Indian girls in Heaven with him. A few hours later, he died. My Cherokee grandpa was dearly loved and will never be forgotten. He, and all the other Cherokee grandpas that came before him, helped form our family and the Cherokee Nation into what it is today. To all the Cherokee grandpas, whether from our past or our present, we have not forgotten you. We are proud of you and we love you.